So could ya'll recommend a good mechanic in town? Give me an honest mechanic man! Or atleast one that lies really well... it doesn't really matter as long as I feel good dropping dem hundred dolla dolla bills ya'll! Singer. Beatboxer. Songwriter. Live looper. One-man vocal band. Kid Beyond loops and multitracks his voice onstage to create his own live backing tracks – layering his impassioned lyrics over his own beatboxing and vocal instrumentation. The result is a riveting, soulful brew of pop electronica. A "fiercely charismatic... truly mesmerizing" performer, armed with a powerful rock-soul singing voice and the jaw-dropping skills that earned him the title "San Francisco's Best Beatboxer," Kid Beyond has rocked sprawling festival crowds, huge warehouse parties, and jam-packed venues from the Fillmore to Carnegie Hall. You've seen VH1's Hip Hop Videos: Sexploitation on the Set and thought to yourself... how can I be a video ho? We'll here's your big break! 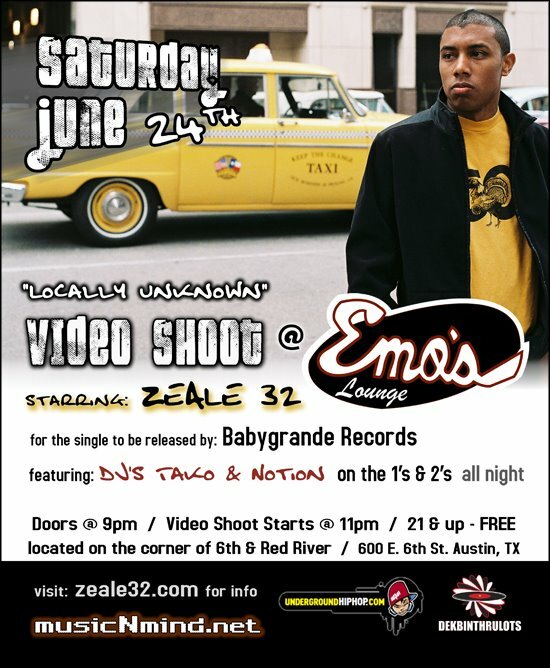 Tomorrow night, June 24th, Austin's own Zeale 32 will be having a video shoot at Emo's Lounge! 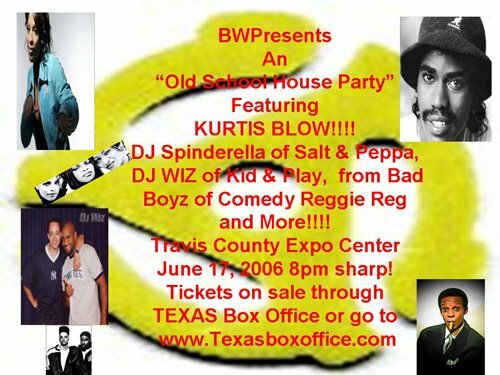 Come on out and drop it like it's hot! Never heard of The Coup before, but it seems like if you like Dead Prez, you might like these cats! 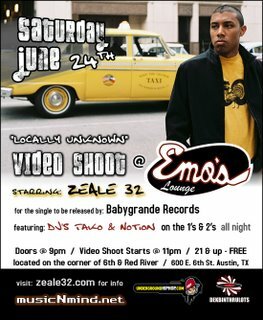 Coming to Emo's on June 22nd... along with our own Bavu Blakes, Zeale 32, and Justin Bardic! 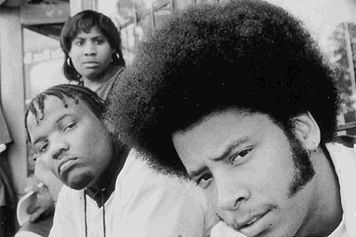 The Coup's debut album was Kill My Landlord. In 1994 they released their second album, Genocide and Juice. 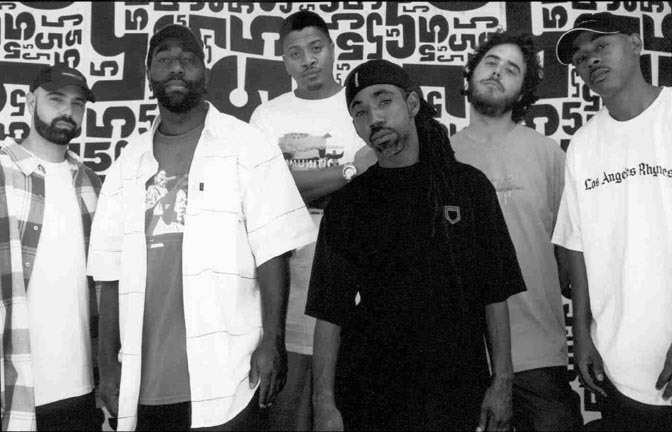 After a four-year recording hiatus, the group released the critically acclaimed Steal This Album in 1998, with a title reminicent of anarchist Abbie Hoffman's Steal this Book, and a stand-out single in "Me and Jesus the Pimp in a '79 Granada Last Night". The online magazine Dusted called Steal This Album "the best hip-hop album of the 1990s". In 2001, The Coup released Party Music to widespread praise; however, in part due to distribution problems, sales of the album were low. The Coup, politically radical in their music, align themselves with other radical hip-hop groups like Dead Prez. Their music is characterized by electronic sounds and bass-driven backbeats overlaid by humorous, cynical and sometimes violent lyrics criticizing capitalism, prostitution, American politics, and police brutality, among other things. So I'm freshly back in Austin from seeing the fam in H-town... Happy Father's Day! Dad grilled me twice about getting married... damn Asian parents! Doesn't he know I need a girlfriend first! Anyways... like a friend said... "Happy father's day; may your illegitimate children never find you!" 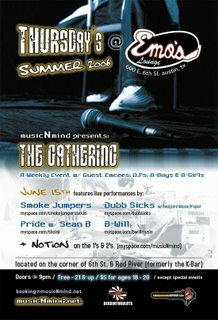 Dubb Sicks holla'd at us to come out to Emo's Lounge tonight for a weekly show starting Thursdays! Tonight's performances by Dubb Sicks, Smoke Jumpers, Pride w/ Sean B, B-Will and Notion! Doors open at 9pm... free for 21 & up... 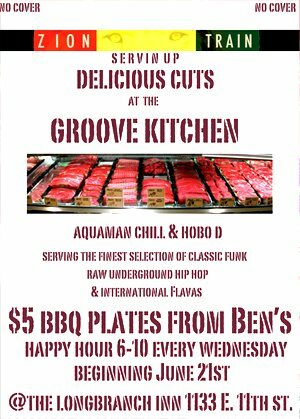 Check out the flyer! The Storm Tour finally rolls through Austin! Straight off the release of his latest collabo album, which I'm not too fond of, Aceyalone will be hitting La Zona Rosa on July 9th! Accompanying him will be Ugly Duckling, The Procussions, Diverse, !Mayday!, and Wrekonize... daum, I'm lovin' the Gnarls' Crazy remix on Wrekonize's page! Should be a tight show! Aceyalone (born Eddie Hayes) is an American rapper, known for his passion for and command of words and language. 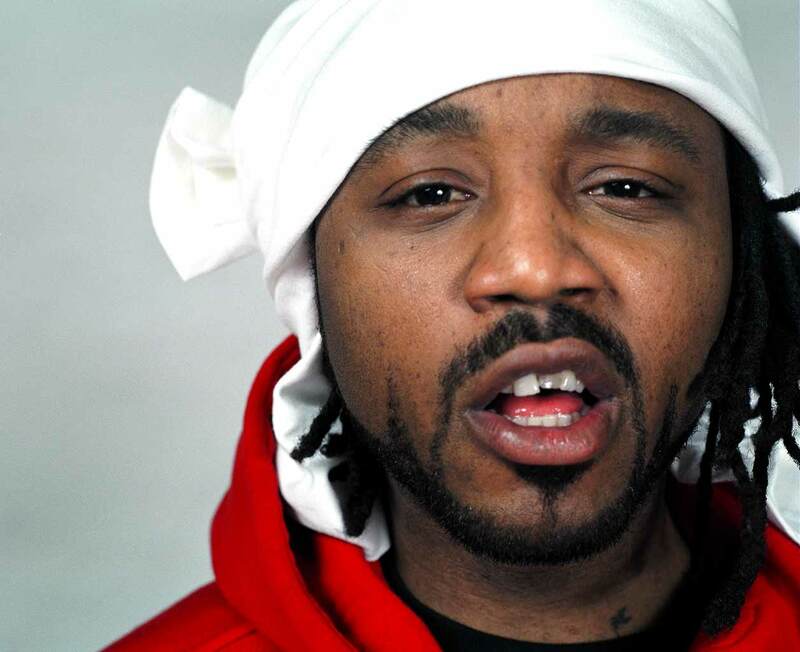 He is an elder statesman of the rap scene, having played an important part in the development of intelligent, literate rap in a time when Gangsta rap was the predominant rap style. He is a founding member of the Freestyle Fellowship. 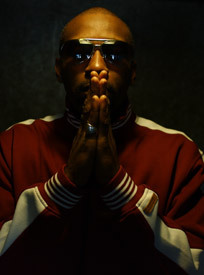 Apart from his role in Freestyle Fellowship, Aceyalone is also a member of Haiku D'Etat (with Mikah 9 and Abstract Rude) and The A-Team (with Abstract Rude). Widely recognized as one of the more lyrically gifted in the history of emceeing, Aceyalone embodies the sophisticated west coast style that is showcased in other indie artists such as Blackalicious and Del Tha Funkee Homosapien. 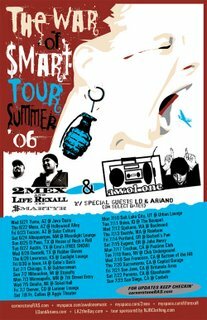 So here's your chance to see C-Rayz Walz at Emo's on June 17th... along with Culture Sounds, Word Association, Family Tree, Young Nick and MC Pop and DJ Pnyce! Every once in a while an MC emerges who profoundly alters the landscape of hip hop. Big Daddy Kane. Rakim. Chuck D. Ice Cube. Jeru. Biggie Smalls. ODB. Eminem. It's time to make room for another name on that list. Straight out of that boogie-down borough where it all started, C-Rayz Walz comes heavily armed with his self-created style - The Art of Energy. Spellbinding, cinematic, jaw-dropping, mind-blowing, completely original. The words will be put in your mouth. All it takes is one listen to start understanding why the game is about to completely change. Having achieved a mythic rep in the underground as a soloist as well as a member of the mighty crew known collectively as STRONGHOLD, this urban legend has been applying a vice grip on the independent scene for quite some time now. The State of Texas Hip-Hop, it's like having the Mavs, Spurs, and Rockets playing in their own tournament, we got Mr. Blakes (Austin), D.O.S. 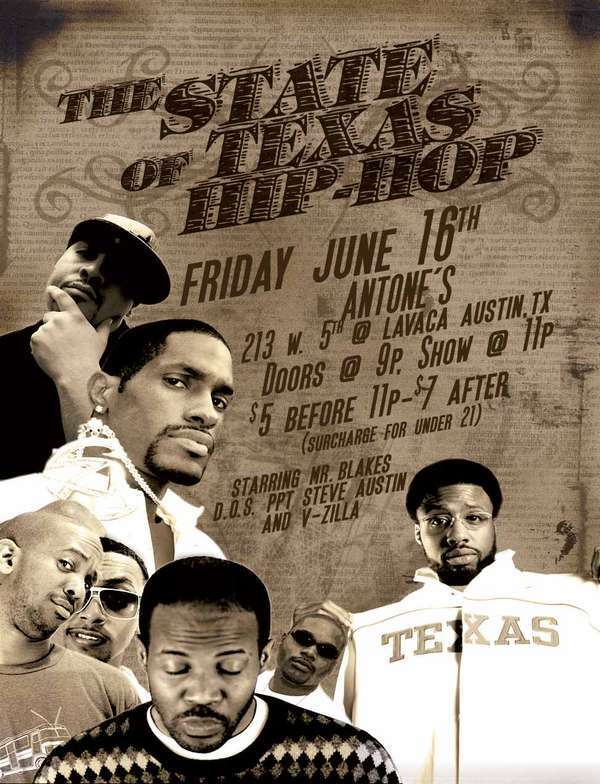 (Austin), PPT (Dallas), Steve Austin (Dallas), V-Zilla (Houston), and Vehicular (Austin) at the venerable Antone's this Friday, June 16th! V-Zilla - There is no other way to describe "V-Zilla" except to say that he's a MONSTER. With 3 full-length underground releases under his belt, Overseas tours and an impressive list of show openers ranging from Atmosphere to Xzibit, this H-Town native is on course to finally break through the surface with his forthcoming release entitled "Interview With A Monster" and gain some much needed recognition from the City of Syrup. Steve Austin - Steve Austin the Bioniq MC is a Louisiana born and bred Dallas-based rapper known for his undeniably precise, versatile lyrical flow laced atop the attention-grabbing, body-moving beats and hooks that have become just two of his trademarks. Standing tall at 6'5½", the toned, stylish Austin is as readily distinguishable in person as he is on a verse. PPT - P.P.T.=Fun - it's as simple as that. 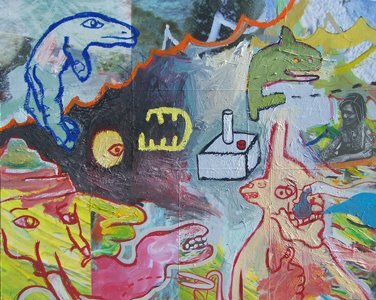 The local hip-hop supergroup combines the talents of well known DFW artists Pikahsso, Picnic, and Tahiti. While each of these musicians continues to pursue solo projects, P.P.T. 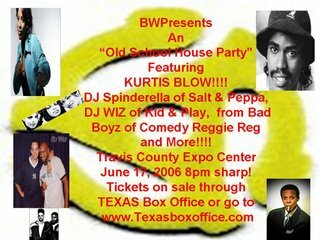 allows them to combine forces in an effort to have a blast with their music while simultaneously raising the level of craziness around the Metroplex. Mr. Blakes - Webster defines wordsmith in the form of a noun as a person who works with words; especially a skillful writer. Defined by those who write professionally as journalists, authors, newscasters or spin doctors - it is very much a verb. They wordsmith documents, speeches, quotes and letters. Many times this action involves finding more powerful, meaningful words that paint a picture and more clearly deliver a message. Vehicular - Vehicular can be best characterized as a solid mix of the versatility of the Neptune's, the party vibe of Run DMC, and the humor of Digital Underground. Combining music that draws on a steady diet of bass-heavy beats, polished production savvy, and lyrics that spring effortlessly between the insightful and the absurd, Vehicular is clearly willing and able to expand their listeners understanding of what hip hop is and can be. With deejays Aquaman Chill and Hobo D ...plus special guest deejays. Alright! 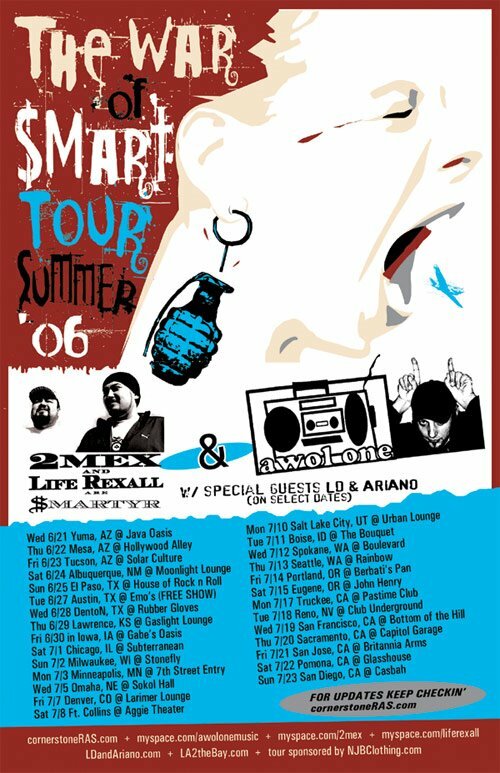 So on June 16th The Streets and Lady Sovereign are coming to La Zona Rosa! Should be a good show! He has been compared to Eminem, lauded as the voice of Blair's Britain and the Mercury Music Prize nomination is a heady accolade for one so young. The fact he is ranked alongside some of the UK's freshest acts, including Ms Dynamite, The Coral and The Bees, and one of the country's few truly unique talents in David Bowie, is likely to add to the legend of the boy from Birmingham. At the age of five the boy wonder had apparently been "fiddling with keyboards", later building his own sound booth out of a cupboard and an old mattress and turning his bedroom into "rap central". 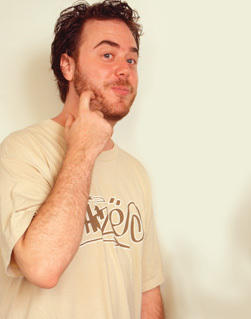 His early teen efforts, influenced by De La Soul and the Beastie Boys, were American-centric copies of hip-hop records.